From semi sheer to translucent or room-darkening fabrics, these Vignette Modern Roman Shades are available in 2 unique fold styles and 1 fold sizes. In addition, Vignette’s matching fabric-covered headrail and bottom rail are created in an integrated combination to create a whole beautiful feel. The unique headrail design conceals and protects the shade when raised and there is thus no fabric stack to obstruct the outside view. No cords or strings are visible to the outside when shade is lowered. Traditional fabric has contoured folds specially designed to keep their shape and fullness, giving a casual or formal feel depending on the fabric selected. Tailored fabric has flat folds for a more contemporary look. Traditional 3″ and 4″ and Tailored 6″ fabric fold sizes. EveScape™ room darkening available on all fabrics, colors and fold sizes. Standard fabric-covered headrail and bottom rail. Easy operation with the EasyRise™ continuous cord loop or UltraGlide® single retractable cord. Covers windows up to 140″ wide by 120″ high. Neutral white backing for a uniform exterior appearance. Accents by the Yard™ available for custom accessories. 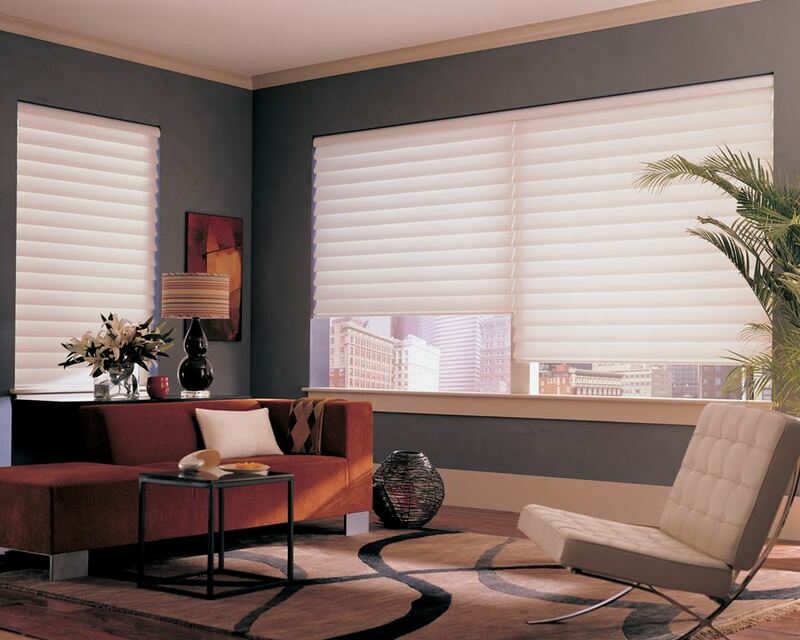 Vignette® shades are comparable to custom Roman shades, but are offered in a more modern feature-rich version. 45% of Roman shade sales are in the flat fold style, and Vignette now offers a modern version of that style. EveScape™ backing blocks 99% of the light. It also has the highest rating in sound absorption (0.60). Vignette® offers three fabric opacities: semi-sheer, translucent and room darkening. Fabric-covered headrail is standard on all shades, giving them a finished look. The EasyRise™ continuous cord loop disperses the weight of the shading and makes it easier to raise and lower. The UltraGlide single retractable cord stays a constant cord length for enhanced child and pet safety. When lowered the bottom rail kicks back into the window within 7/8″ of the window or mounting surface. 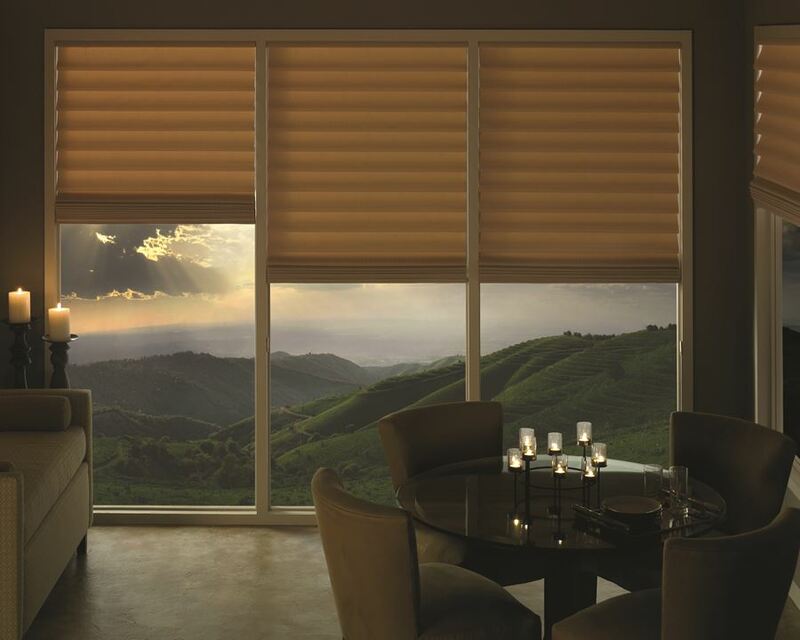 Can cover very large windows, up to 140″ wide by ordering the Two-On-One Headrail option. The neutral white backing provides a uniform exterior appearance. There are no visible cords or grommets to detract from the street side appearance of the shade. All Vignette fabrics can be ordered as Accents by the Yard™. The width is 72″, 88″ or 96″ (depending on the fabric), which is wider than standard drapery fabric making it more affordable and easier to use.